Colombia has been caffeinating the world for decades, but the coffee culture in its capital is relatively new Coffee has been the dominant crop in Colombia since the late 1800s, but until recently, it was nearly impossible to get a coffee-snob-approved cup in Bogotá's cafes. Even though roughly 95 percent of Colombia's coffee farms are small, family-owned affairs, the country's most renowned agricultural product has long been destined for export, not local consumption. Left behind for Colombians was pasilla , the dregs of the coffee industry. 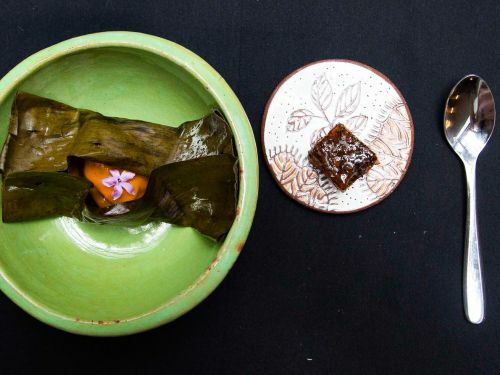 Chefs are using a full range of local ingredients to make way for the country's edible identity As you walk through the door of Bogotá's Mesa Franca , you're immediately hit with the unmistakable smells of a Colombian kitchen: toasted corn, tropical fruits, fresh herbs, grilled meat. If it weren't for the decor - modern lines, bare wood tables, hanging plants, and pops of red - you'd swear you'd wandered into the home of somebody's mamá.